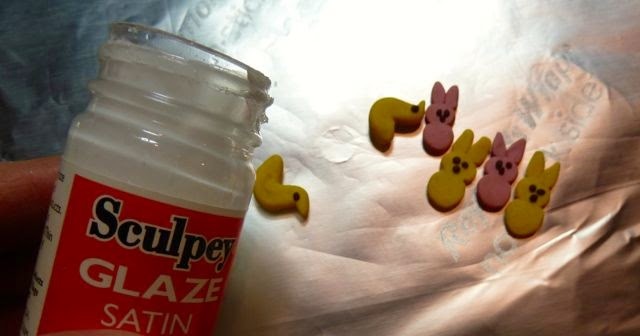 Peeps are everywhere these days and they aren’t just for Easter anymore either. They are fun in Easter baskets and at parties. Don’t just fill those baskets with candy though. 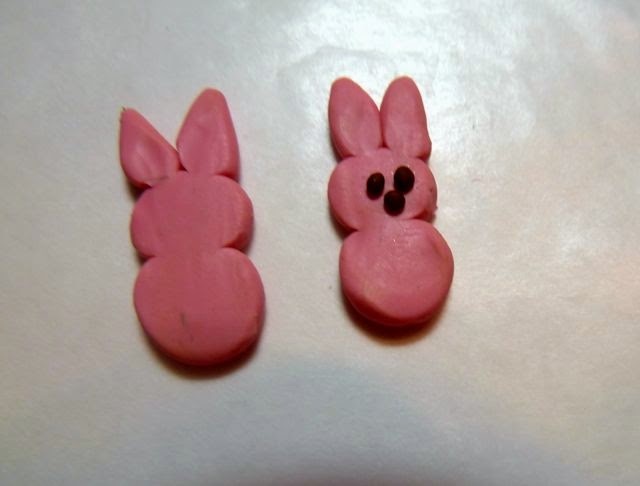 Why not make some Easter peeps earrings. They are fun for the young and the young at heart. 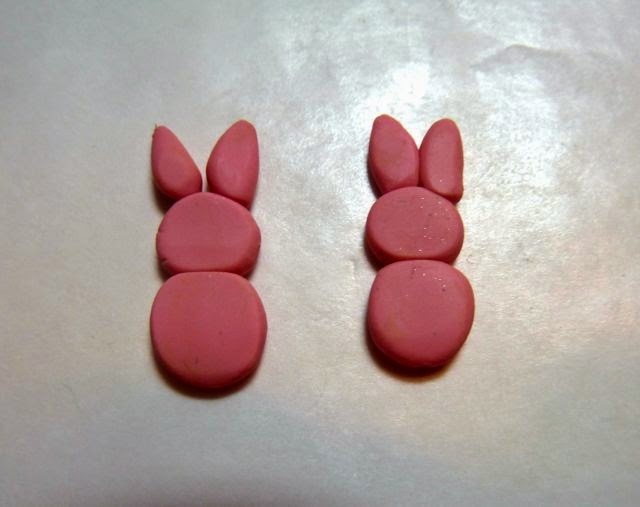 You can make them with scrap polymer clay leftover from other projects so it is super frugal. Make a set for yourself and one to give as gifts. 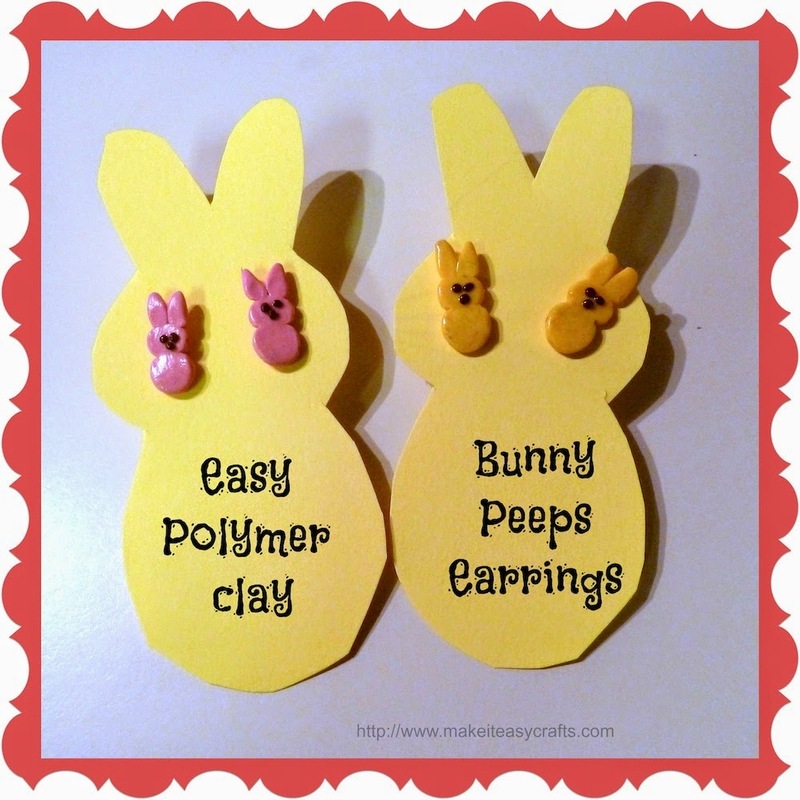 After you add the earring posts cut, out a peep shape from yellow cardboard or construction paper and use for a unique way to add to an Easter basket! 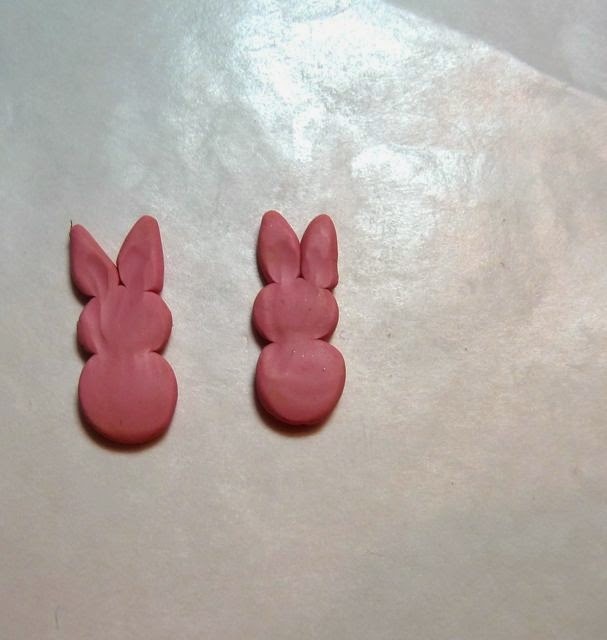 Note: It is advisable to make two earrings at the same time so that you can make sure that each earring is the same size. 1. Cover your work surface with waxed paper. 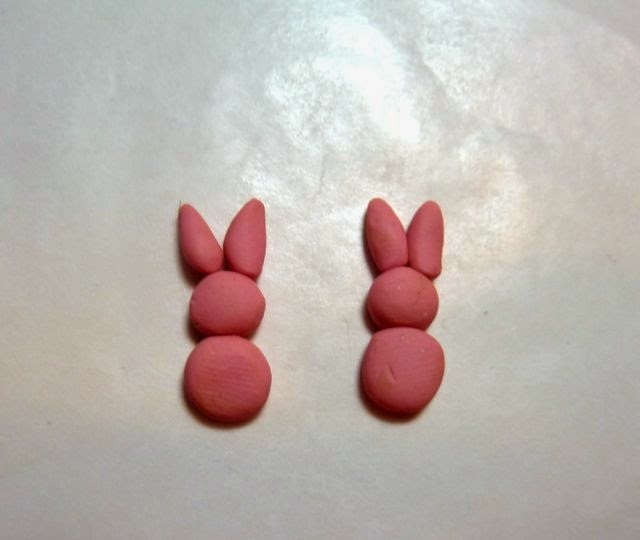 Condition your clay by kneading with your hands. 3. Cut two more pieces. 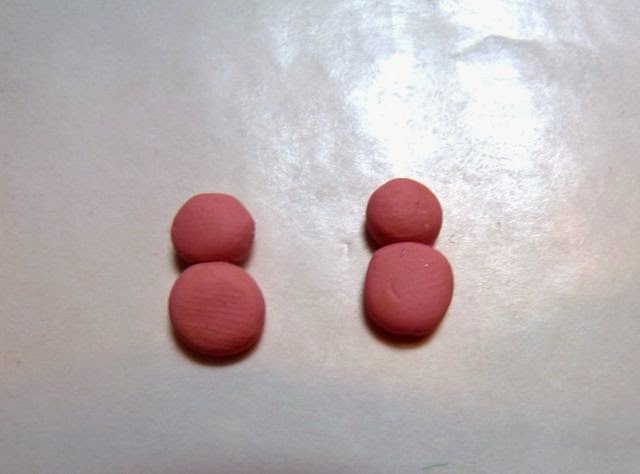 (4mm size) Roll into a ball and slice in half. You will have four pieces. Roll each piece putting more pressure on one end to form a point. 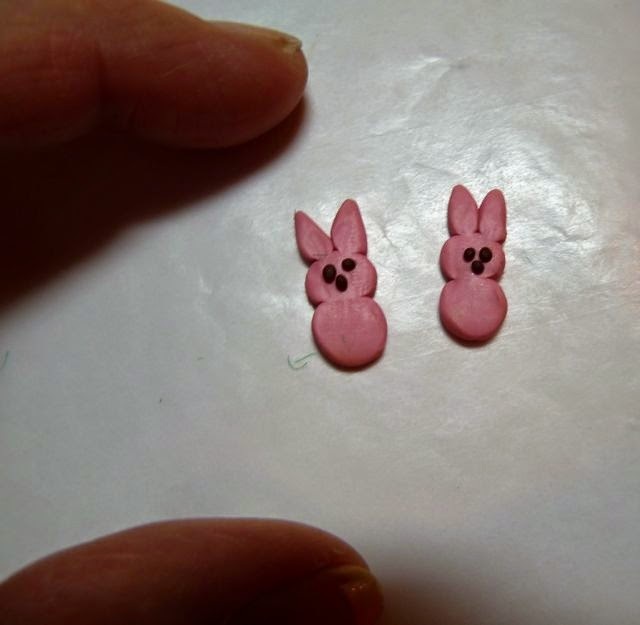 Add two ears to each peep earring. 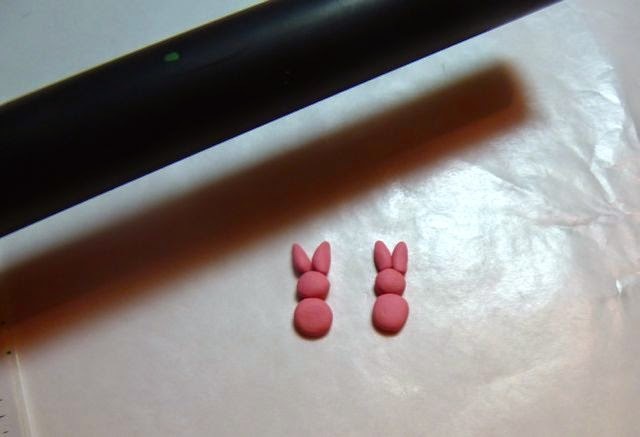 Lightly roll with the clay roller to slightly flatten. 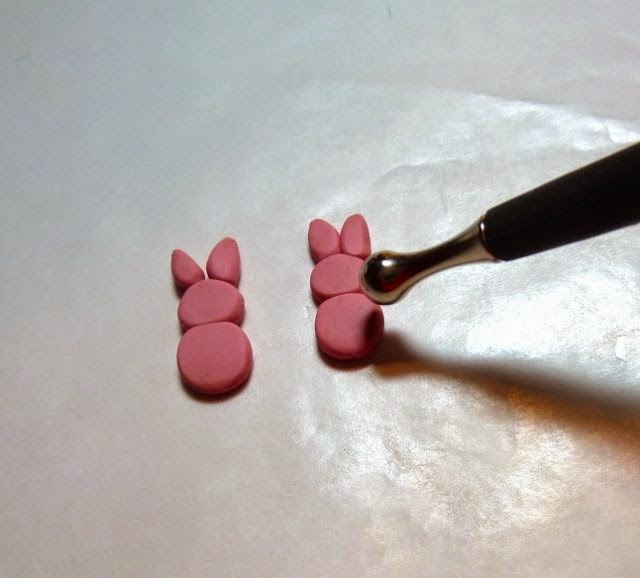 Use the burnishing tool to smooth out any lines. 4. Break off just a teeny tiny piece of brown clay and roll. 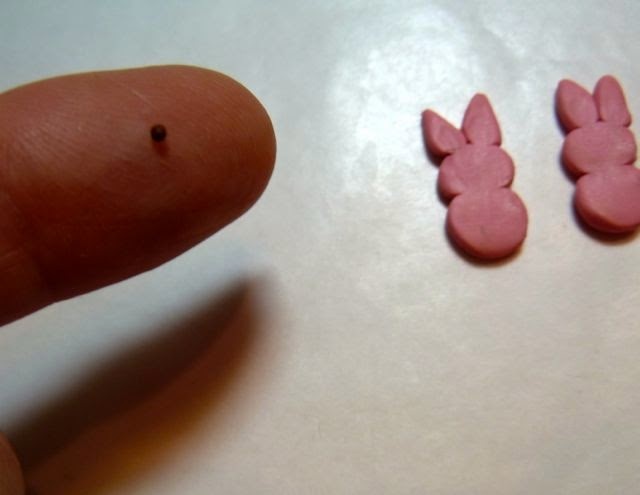 Use your finger to add two eyes and a nose. Lightly press in place. 5. Place the earrings on an aluminum foil lined cookie sheet and bake in a 275-degree oven for 15 minutes. Do not bake longer or at a higher temperature. Do not use a microwave oven. When done remove from oven and let cool. 6. 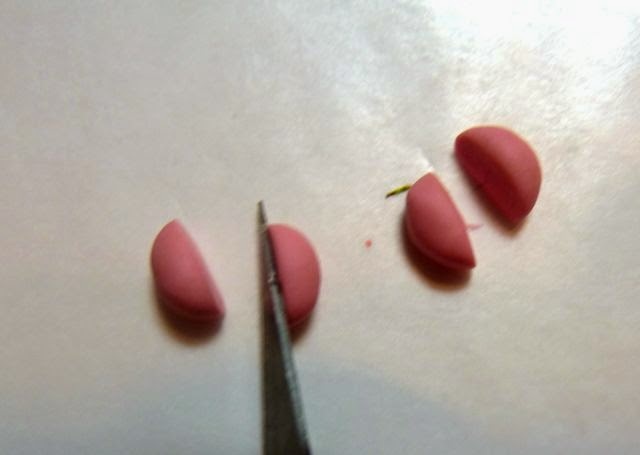 When cool use a small paintbrush to brush a coat of matte finish on the front of each earring and let dry completely. 7. 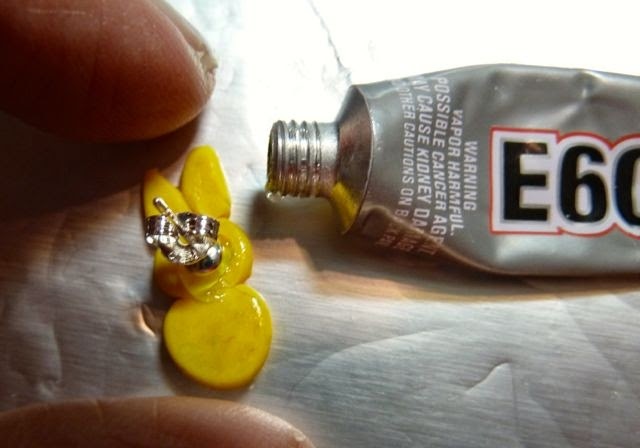 Use E6000 glue to attach an earring back to each earring and let dry. 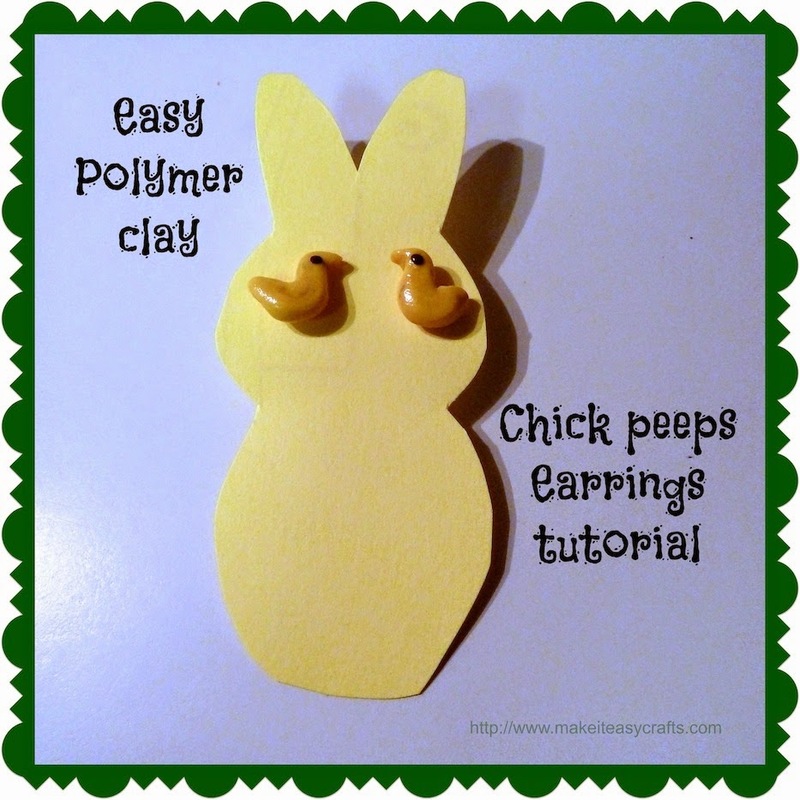 Did you say you would like the instructions for making the chick peep too? Well you're in luck, just come back next week for the full tutorial!